Log Cabin Democrat, Conway, Ark. Will the iPhone 5 contain an NFC chip? Interesting stuff going on in the world of NFC (near-field communication). It’s only a matter of time before all phones will have this built in and rumors are that the forthcoming iPhone 5 will. The idea of no longer needing to carry a wallet or credit card is coming to reality. Soon you will not only search, shop and socialize with your phone. You’ll pay with it also. Side note: The problem with Aztec codes is not enough readers out there support them yet. When they do, they could become more widespread than QR codes. With our QR code generator launching in days it’s interesting to see how others are using them. This article (link above) has a few. I particularly like using QR codes for quick link to a Facebook “Like” which in this case also gets you an instant discount. 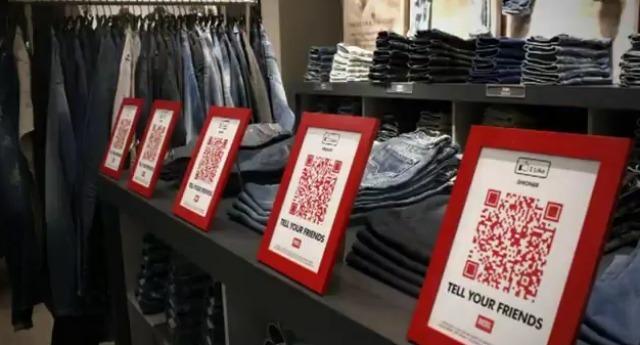 Also, Macy’s understanding that not everyone a) understands QR codes and creating a how-to video and b) also giving consumers the option to text and get the same result. Add SMS opt-in link to your Daily Deals quickly, cheaply. For just $150/month you can add SMS/mobile web delivery of your Daily Deals to your customers. How easy is that? InSequent has created a custom template for you to present your daily deals via the mobile web. Have customers text a keyword of your to our short code (or yours) to instantly receive your deals of the day right to their mobile phone. QR Codes coming soon to InSequent! We will be automatically assigning a QR code which links to your keyword/mobile site. Photographing the code with any QR code reader app will deliver the exact same functionality as does texting of the keyword. A QR code – or Quick Response code – is a specific matrix barcode (or two-dimensional code) that is readable by dedicated QR barcode readers and camera telephones. The code consists of black modules arranged in a square pattern on a white background. The information encoded may be text, URL, or other data. The QR code was created by Toyota subsidiary Denso-Wave in 1994, it is one of the most popular types of two-dimensional barcodes. The QR code was created to allow its contents to be decoded at high speed. QR codes are catching on now so the time is right to give our customers this feature. Details coming soon. Three new markets in Florida and one in N. California.